register for an account and download the Second Life viewer software. open the Second Life viewer software and log in using your new avatar name and password. Be sure you are logging into your SL viewer software, and not the SL web site. 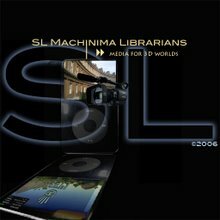 The viewer will give you access to the 3D world, and the SL website will give you access to your account information and a whole lot more. Follow the instructions to install on your computer. Click on the package to begin the install. Now use the search feature in the SL viewer to locate the UC Davis group and join it to be able to gain access to the UC Davis and Prophylaxis Islands for class. The search icon is on the left side of you SL viewer window. the group by clicking Join again as shown above. What if the Second Life Viewer does not work on my computer? WAY BACK WHEN... I first registered for a Second Life account in 2007, when the process included email verification before downloading the Second Life Viewer, and then being sent to one of the Linden Lab help islands/ welcome islands. That was actually a great help, as the Second Life mentors literally walked you through the first few minutes or hours... depending on how long you managed to stay. Today when I registered for an account, it was a lot quicker, though the help and orientation options were not readily visible. We will walk through that part together during the workshop, if you haven't already done so. the powerpoint taken from the 32 minute visual track for the 2 hour workshop at UC Davis Medical Center for Health Informatics, 2011. View more presentations from HVX Silverstar. October 22, 2010, University of California, Davis. in the very beautiful Second Life®. Bernadette Daly Swanson © 2010. Quotes taken from the exceptional book by Mark Stephen Meadows, "I, Avatar: the culture and consequences of having a Second Life. The best! I first tried inWorldz after the Linden announcement to increase educational fees from the current discounted set-up and monthly maintenance fees charged. After a quick chat with one of the mentors, I teleported directly to the island to find out how to purchase land... Islands are much cheaper, with a monthy lease of US$75.00 for an island. It's more than double that for an island in Second Life. Mainland regions are $60.00 while the beta is still in effect. I was in the midst of a purchase... terribly compulsive! Fortunately, it timed out when I took too long to decide on the region name. I had the island name in mind, and hadn't thought of the region... Lucky for me! I have leased an island in OSgrid which takes me away from the proprietary environments of Second Life and inWorldz. Goodbye Library Studios Island, originally uploaded by HVX Silverstar. A digital island... just a speck of land that is almost invisible in the great expanse of the metaverse... this island will always have a space in my heart. Labels: "Second Life" "digital islands" "hvx silverstar" hvx "library studios"
Our slides from California Academic & Research Libraries (CARL) Conference, April 8-10, 2010 in the very beautiful Sacramento! Earthstones Abraxxa's EarthDay Birthday Free Gifts, originally uploaded by HVX Silverstar. Viewer2_Earthstones_full, originally uploaded by HVX Silverstar. Free hippie bracelet.... too bad... Earthstones is full. It's your Community Virtual Library in Second Life® & it's story time with Google's new SearchStory Video Creator! hammerklavier 17th C. choral ending with Baroque trumpet, chorus and shimmery effects. Libraries as Motion Video Engage Session: CARL 2010, originally uploaded by HVX Silverstar. this is a visual table of contents of sorts of some of the sites, issues, standards and formats, devices, players and what we use to capture video or our screens... not shown.. the virtual environments where many of us view media... and for me.. where I chronicle what libraries and educators are doing in Second Life. NMCSymposiumTwHistoryHistoricalReenactments, originally uploaded by HVX Silverstar. SLPro! Closing Concert & ready to fly! SLPro! Closing Concert & ready to fly, originally uploaded by HVX Silverstar. Inspired and ready to learn more, do more and fly a little bit more too. "Using Creative Commons licenses, we're giving our partners and community more choices to make that happen. Creative Commons licenses permit people to reuse downloaded content under certain conditions." Add 1080p fmt=37 and 360p fmt=34? So where's the Upload Option in the Viewer2? A google search on uploading and the Viewer2 beta brought up this great set of instructions from the Sasy Pants Blog. "UPLOAD has now moved to Inventory folder. All your upload functions are now in this area, so if you want to bring a picture, sound file, animation into world you will have to do it from the FILE menu in inventory." Thank you to Sasy Scarborough for the great post on the whereabouts of the familiar options in the new UI! Labels: Second Life SL viewer2 UI "Sasy Scarborough"
I'm ill at home today, but managed to attend the SL Pro! conference at the New Media Consortium sims in Second Life. Tom Hale (T. Linden) gave the keynote. There area was packed and some people experienced SL voice (Vivox)issues. I took the opportunity to download the new SL Viewer2 Beta.... and tried to figure it out on the fly. It's great... though I would advise watching Torley's videos to work through the new features and UI changes. My favourite new feature is the 'shared media object' whereby you can drag a URL for a collaborative site onto a prim for which you have permissions.... I'll try out dragging on video for tomorrow's class for the MH214 class. The concert was transmitted live in streaming video from Thom and Mitsy's home studio in Fribourg. HVX Silverstar recorded the concert in SL® using Snapz Pro X software to capture the screen. All were dressed in their Saturday finery! Second Life Release 1.20.15 (92456) Beta Test Grid (osx), originally uploaded by HVX Silverstar. A blast from the past... loved the login image. Library Video Channel: promoting services such as logging in from off campus using the VPN & a look at PubMed's new interface! Connect from anywhere using the VPN (virtual private network), Health Sciences Libraries, UC Davis. Photo: "Looking for a Better Thing" Katrina Brown ~ KatrinaBrownPhotographer.com ~ Video by Bernadette Daly Swanson, MLIS ~ Software used: Techsmith's Camtasia Studio for Mac & Camtasia Studio 6 (windows), Apple Final Cut Pro 6, Apple Motion templates, Quicktime Pro, YouTube's AudioSwap (Ben's Song) and the very cool YouTube Annotations feature. PubMed's New Look! get up to speed on locating your favorite features as well as new techniques for researching your topic more efficiently. Parts 1-5 available in HD720p (click HD button then watch at full screen). Note: Adobe Flash Player 10 is required to view HD videos on YouTube. If you do not have an updated Flash Player, follow the link on the YouTube screen to update your browsers. View, share or embed the YouTube playlist for the 5 part video series. A Look at the New PubMed Interface & the Advanced Search features including the home page, advanced search overview; using Medical Subject Headings (MeSH) to search the database more efficiently; clinical queries section for systematic reviews and search tools finding a specific citation; using My NCBI for setting filters, storing collections and saving searches; emailing search results and preparing your search results for import into bibliographic management software such as Endnote. 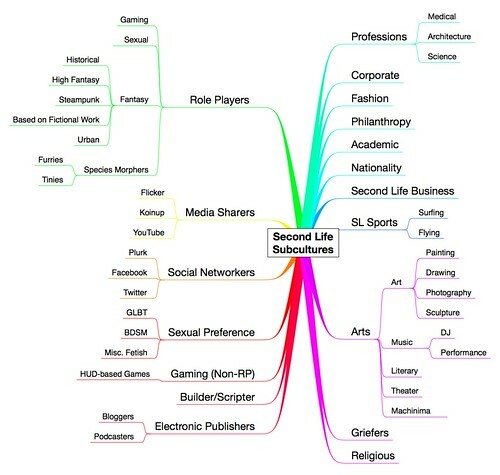 Second Life Subcultures .2, originally uploaded by botgirlq. Botgirlg's superb subcultures image. It says it all. Many thanks to the imagination & ever-continuing reinvention of Philip Linden Rosedale. Picnic-ing on P Squared when a along came Philip Linden. made my day! I told him I had met him at SLCC in Chicago and San Francisco... and was most pleased to meet him here in the real world! So now you'll find him at Burning Life.. one of those tiny little green dots! On P Squared chatting with Philip, originally uploaded by HVX Silverstar. Visit the Virtual Ability website. Snapz Pro shows resilience after mac computer crash! Snapz Pro shows resilience after system crash!, originally uploaded by HVX Silverstar. that dreaded black veil moved slowly down my screen -- the "Kernel Panic" --with the message written in multiple languages alerting me to hold down my on/off button for several seconds to turn off computer. Actually, I don't remember the exact wording as the loss of brain cells likely works to calm readers of the bold text message as the veil drops on the screen. In the past, I would have lost the video being recorded using SnapzProX, of course due to the crash and not Snapz.... but the story ends to the sound of the resilient and lone trombone heard above the crowds of brass... Snapz rose to the center of the screen as I logged back in.... standing alone, proud and ready for action: "Save movie... now or later?" So I have been mad busy working with the MH214 class for the Health Informatics Certificate Program through the UC Davis Extension. The UC Davis Psychiatrists / researchers, Peter Yellowlees MD, James Cook MD, Martin Leamon MD and myself were the instructors for the new class: The Internet and the Future of Patient Care. Two of the Psychiatrists are the researchers behind the top 10 listed and the often cited Virtual Hallucinations build on Sedig in Second Life. Most of the assignments and discussion have been shared using the UC Davis Extension's Online Learning Campus which uses the open source Moodle software. We also held 3 sessions in Second Life. The virtual gatherings for the MH214 class have resulted in a lot of media from snapshots to machinima (which is video captured in a 3D real time game engine or virtual world such as Second Life®). The following two articles available in full text via the National Library of Medicine's database, PubMed, describe two of the Second Life locations visited, Virtual Hallucinations & Bioterrorism Defense Training facilities, both on the private research islands of UC Davis faculty and fellow researchers: Peter Yellowlees MD, Martin Leamon MD and James Cook MD. general introductions with MH214 students and Peter Yellowlees, Marty Leamon MD and Bernadette Daly Swanson MLIS, sharing of SL® experiences, troublshooting audio capture, building demonstration with James (Linden) Cook MD and tripping and touring around the metaverse looking at medical sites and health and medical research projects. Part 2 of 5: Building with James Linden! Health Informatics Professionals need a place and the skills to build it... our first introduction. Part 5 of 5: (10 mins.) More on Virtual Ability Island and the sites visited during the Sept. 2nd and Sept 10th classes including Virtual Hallucinations and Bioterrorism Defense Training units on Davis and Prophylaxis Islands (private UC Davis locations for research projects) and the very cool Imperial College's Second Health London Polyclinic. For anyone using the Firefox browser... or for anyone who wants a quick way to reach the MH214 class locations in Second Life... read on! Note: Second Life viewer must be installed on your computer to use the toolbar. When you click on the buttons on the toolbar, they will launch the SLurl site for Second Life and allow you to click through which launches your SL viewer so you can login to the site. Oops...my racetrack flying outside the sim onto ALA Island..., originally uploaded by HVX Silverstar. shooting 3D objects over the ALA island (American Library Association)... thanks for a high draw distance and a good eye in the early hours of the morning... dragging them back to my island now! Working at the SW edge of Davis Island, originally uploaded by HVX Silverstar. This is where I will be hanging out on Davis Island, Second Life. Once we are all added to the UC Davis group, we can gather on the island for a virtual meet-up. Marty Leamon MD pointed out that the most recent issue of Journal of Virtual Worlds Research is dedicated to health and health care in Second Life. Second Life® - Create your Avatar, download the viewer & login! I made the following 3 videos for a quick introduction to the process for joining the Second Life® community which includes selecting an avatar and name, downloading the viewer (a small file) and then logging in for the 9 step introduction to the most beautiful virtual world on the planet! weird stuff..., originally uploaded by HVX Silverstar. everywere I look has that same image on it.. but it's from a video. once the object rezzes, the image from the machinima disappears. So weird! library studios Sandy Sandy Sandy, originally uploaded by HVX Silverstar. Library Studios Island sits amidst the popular Alliance Virtual Library and partner sims in the Information Archipelago; American Library Association (ALA) to the north, Stanford Libraries to the west and one of the Cybrary City Islands to the east. The expansive sandy coast with its wild ("out of sim lines") rocky refuges begged for California "real". I don't know a coastal community in California where the deep greens of Somerset actually meet the ocean waves. So, working our little avatar legs off, with the estate/region window open, we attempted raising and decrease the default 'highs and lows' for the texture files... it was one surprise after another. The most daring change in the height levels for the SouthWest quadrant brought a wave of 'virgin sand' rezzing across the English greens, leaving it more like SoCal... Oh, no, this is Sonoma! Now the roads... Hyacinth and I have been working on piecing together the sculpty pieces. Daunting. I need an escape. Shopping in Second Life® should set me on a new path of retail therapy or bring me to my Linden Dollar senses and just try to pull together a few coastal slopes and winding roads from the road packages and textures I had previously collected . It's at this point that I have rezzed and re-rezzed PR Hollywood's race courses... watching the pieces fly through the air in an urban dance as it darts across the black skies; certainly enough to qualify as a higher level retail experience. The choices span the screen and the imagination. I find myself contemplating a racetrack running through my formerly calm landscape where I can still hear the waves crashing against the digital shore while laying out streets and arguments atop Fusion City's midnight platform. Well, still streetless, I'll have to contemplate the options and return tomorrow to scan XstreetSL® and the SL® search before going back to my roadwork jigsaw that is currently sprawled across the sim. fusion city prefab demo roads 317 prims, originally uploaded by HVX Silverstar. Thoughts from Library Studios Island (pick up machinima workflow instructions here) in the very beautiful Second Life®. Exploring Twtpoll: do you already have a personal Twitter account? So we had a great session today exploring creative ways to use Twtpoll in a 50 minute or 1:50 minute instruction session. We had created ten twitter accounts and my colleague and I went through the tedious task of having all accounts follow each other in an attempt to save time since we only had 45 minutes at the end of the meeting that we could dedicate to Twtpoll & Twitter. Some of the suggestions after a brief exploration included traditional ways that the instructor might use any sort of polling application: pre-tests,post-tests, quiz questions, off-topic questions to wake everyone up... not really! Melissa and I created about 10 twitter accounts for colleagues to use, so we could just jump in and begin using twtpoll with the existing twitter accounts. Here is our web page: http://www.vetmed.ucdavis.edu/CCAB/doctoringtwo.html and the related video that we used for the outset of the class (filled with clues for group the activities that followed): http://www.youtube.com/libraryvideochannel#p/u/3/1Zmp1xtj6rY. We actually had a looped 5 minute version that played while students were entering the room and it included all of the resources they would be using during the hands-on portion of the session. Other interesting ideas included having the students work in break-out groups on the same question using different library resources and then create a Twtpoll to share with the other students. I should mention though that a couple of people had trouble using the application... most likely issues with our own connectivity in the Laab. Using the embed code on the twtpoll site, you are able to edit the size of the chart displaying poll results. The default is 200 as shown. I am assuming this is pixels. You can also use the polls in stand-alone mode on the twtpoll site, rather than embedding or sharing on one of the many liste popular sites, cell phones, email, etc. The URLs are nice and short! For a small donation, you are able to personalize the pole with your twitter account profile image and short bio. Ok... I have to start making my own stuff... hello Blender! facebook_username, originally uploaded by HVX Silverstar. download_mp4_youtube, originally uploaded by HVX Silverstar. Animoto's new features: one button publishing to twitter, originally uploaded by HVX Silverstar. so it took less than 5 mins to upload the 19 images for the test video and then i walked the doggie while it rendered the movie file.